My family is very important to me. If you noticed, this blog is a reflection of who I am with them. Of course I love them and I believe that I have to strengthen my family relationship to stay connected to each other. That includes spending time with them, doing things together, bonding over stuffs, or just simply slouching at home and watching TV together. 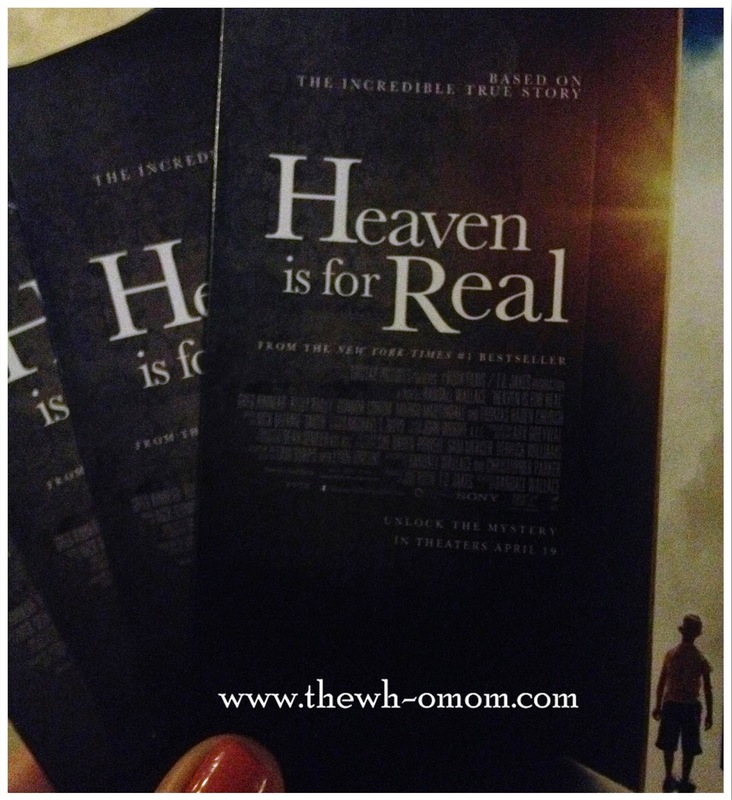 We were very fortunate enough when PLDT Home DSL invited us and treated not just me but my whole family to watch a movie "Heaven is for Real". I brought along my sister and my nephew, and my daughter Meg. The kids were very excited for the movie (although I was a bit worried if they would like it) and enjoyed their popcorn and drinks. The movie stresses the importance of having a close and happy family that even each has their own individuality, their family connection is still strong. There's actually a scene in the movie when their daughter had a problem, the Mom and Dad stopped what they were doing and they had a family talk. Just like in the PLDT Home DSL #AskDiego commercial, when Diego asked something, the whole family paid attention to him. The Mom and Dad guided him and all the family members support each other. I bet you're very familiar with the commercial (the kids adore Diego!). The family is enjoying limitless family-sized connection because they are using PLDT Home DSL. I also love how the commercial was presented as it stresses the importance of strong family connection and family values. Having a strong and reliable internet connection at home is very important especially when everyone is using it. I need internet connection in doing my work in my netbook. I also need to be socially active so my phone's using the internet connection as well. My daughter plays online games and these games take a lot of our connection at home. The FAMILY SIZED connection from PLDT Home DSL provides limitless family sharing so even when everyone's using their gadgets, you can be sure that you'll stay connected. 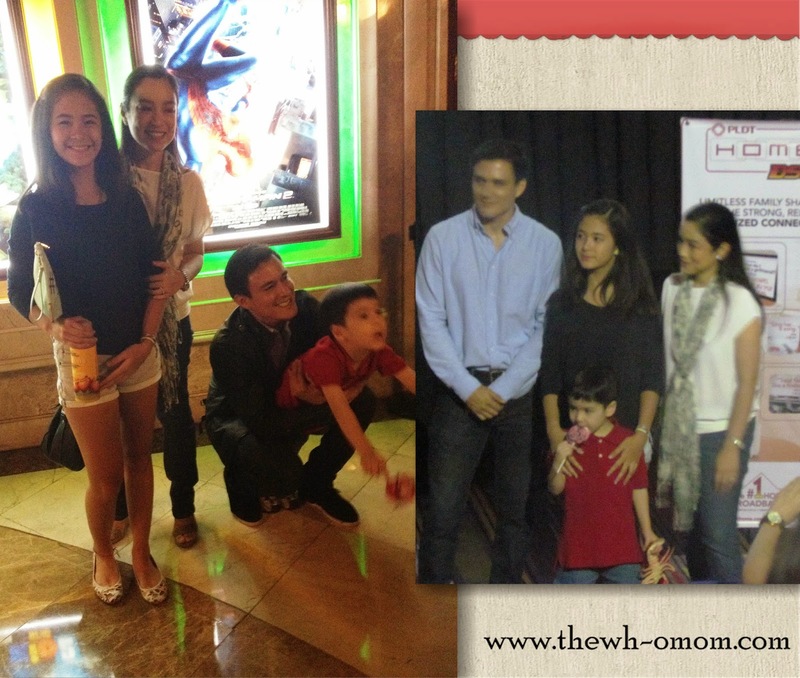 We were also very lucky to be joined by the Ledesma family (the family in the #AskDiego commercial) as we bond with our families that night. Look at Diego; he is such a darling of the crowd. Did you like the #AskDiego page already? Here's the link to it: https://www.facebook.com/AskDiego. I checked the page a while ago and it's nearing 200K likes already. Wow! I browsed through the entire page and people are really asking Diego about life, friendship, and even relationships and he answers shortly but brilliantly. Actually, if you are wondering, Diego's Mom and Dad are guiding him in managing the page and answering the questions. I love that PLDT Home DSL chose a family to show how important strong connections and the values learned at home to strengthen families. As for the family in the movie "Heaven is for Real", they strengthened their connection through their faith to God and their love for each other. I am very pleased that the kids behaved and Meg appreciated the movie. 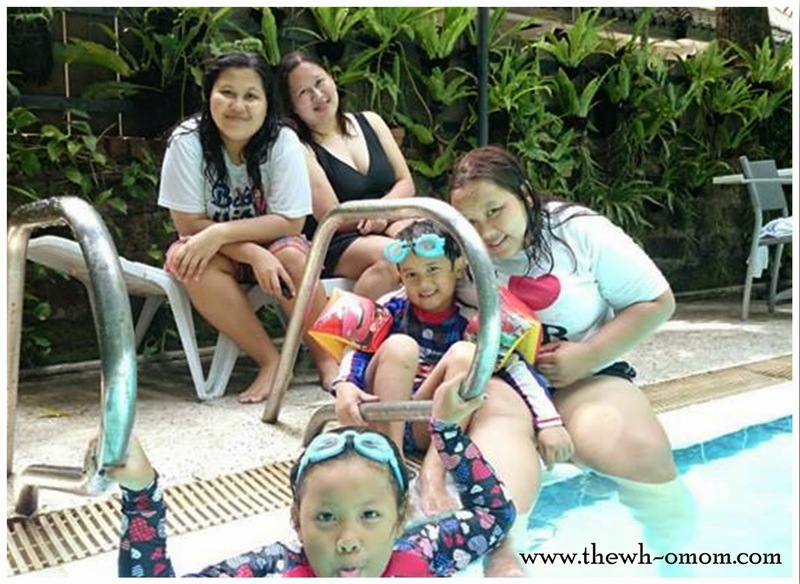 Thank you for inviting us in this family bonding, we definitely had fun! To know more about PLDT Home DSL, visit http://pldthome.com/ and sign up for a strong and reliable family-sized connection. Hello dearies! We decided to have a hotel staycation last Holy Thursday until Black Saturday. 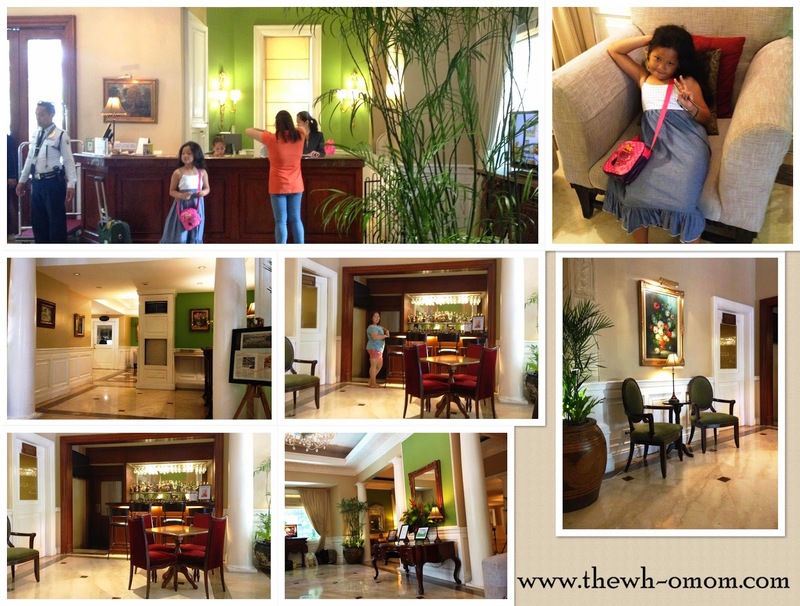 Actually the initial plan was just to stay overnight but we felt like it was "bitin" so we extended our stay. 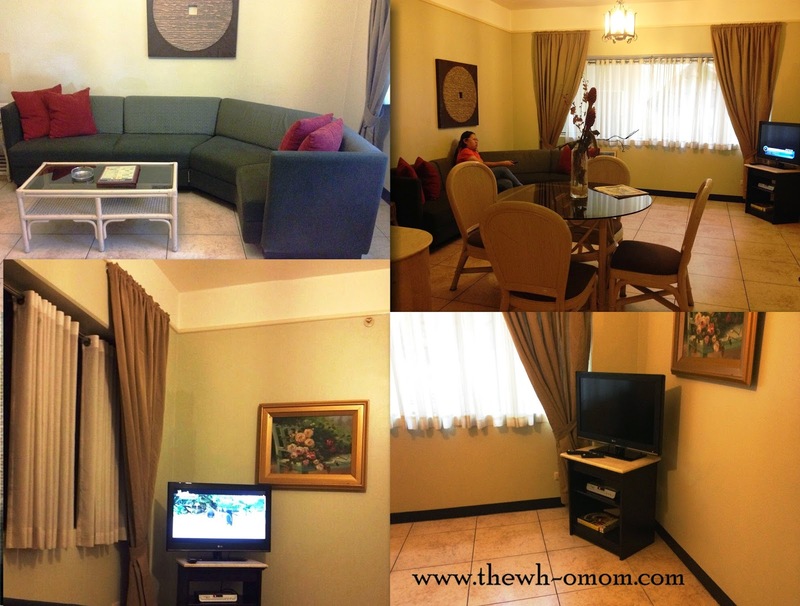 Orchid Garden Suites Manila is located in Malate, Manila. The easiest route would be Taft Avenue (from Manila City hall) and turn right to Pablo Ocampo Sr. St. (Starbucks Vito Cruz) and continue straight ahead. The hotel is at the left side and almost across the Century Park hotel. The facade doesn't look like a hotel entrance but more of a big residential house in a village with trees around it. As you enter, there's a certain comfort like you were transported to a villa in a province with no pollution and Metro Manila noise. The lobby is small but clean. 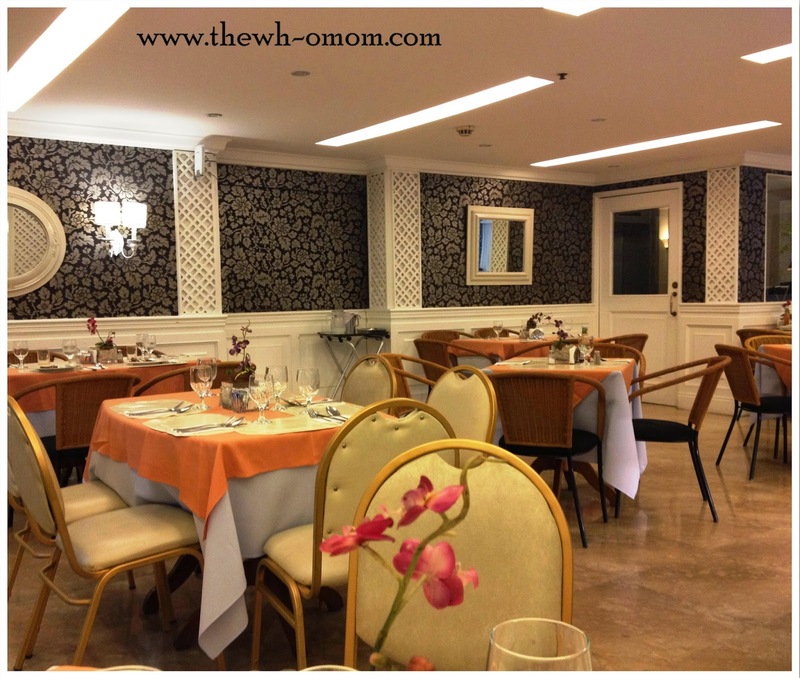 There are different rooms to choose from whether you're traveling by yourself or your family. There's the Standard Room, Executive Suites, Family Room, Penthouse, Upper Penthouse, and Presidential Suite. The rooms are equipped with free wifi, cable television, room service, complimentary coffee, tea, and bottled water, safety box, telephone connection, and complimentary newspaper. We stayed in their Family room with two bedrooms. The Family room is good for 4 adults and 2 kids (as long as the kids will share bed) but there's a big sofa in the living room if you have an extra person. 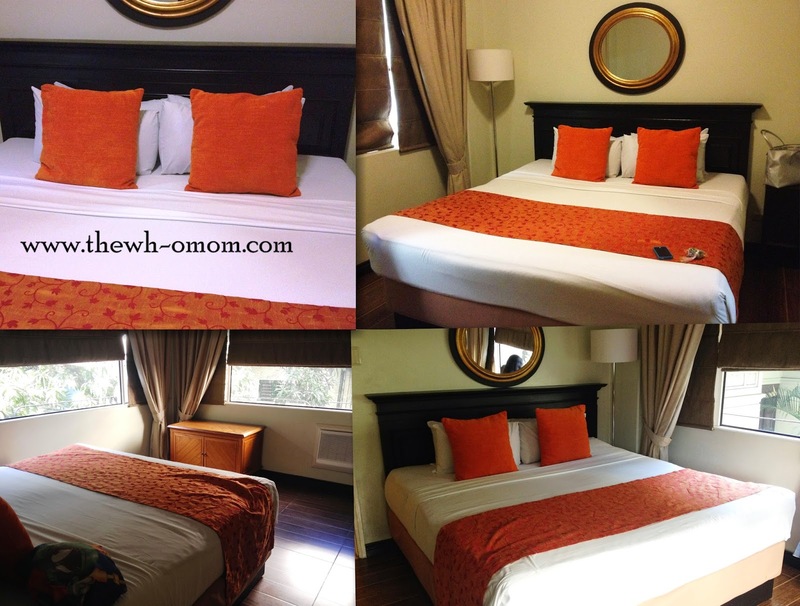 There's a king size bed in each room so 3 persons (2 adults and 1 kid) can fit. The rooms are a bit old but clean with comfortable and big beds. There are separate cabinets in each room with sofa chair. The masters bedroom has a restroom inside. The other restroom is outside near the kitchen. It's not as grand as the rooms in 5-star hotels and the air conditioning unit is also old but it's still ok. 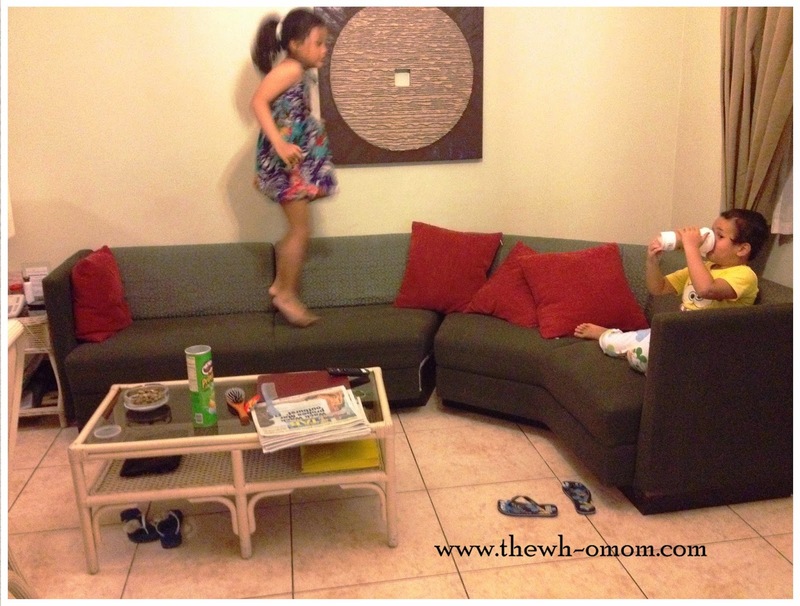 I love how spacious the living room is and the children can use the space to play. The sofa is very comfortable and the kids played and enjoyed watching TV. 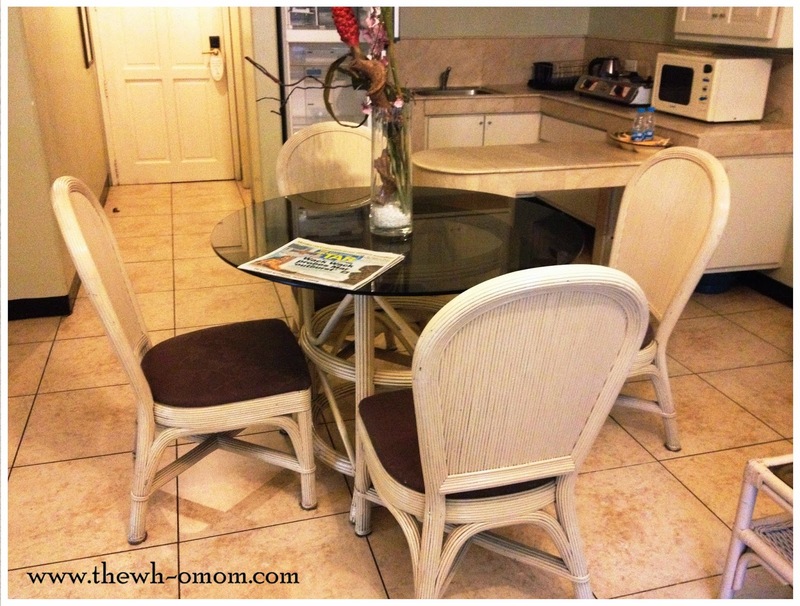 Beside the living room is this space for dining near the kitchen. 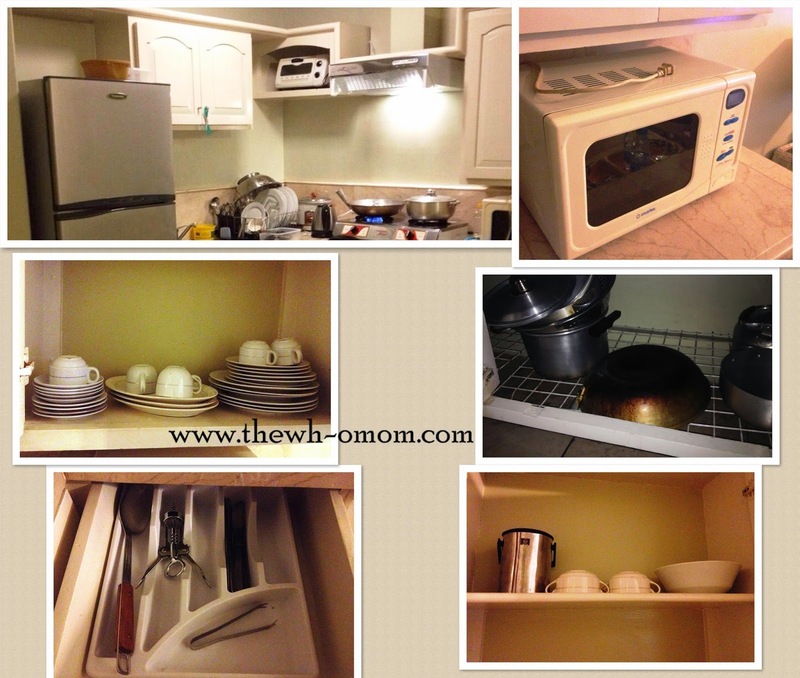 The Family room has a full kitchen complete with kitchen utilities, appliances, utensils, and cookware. 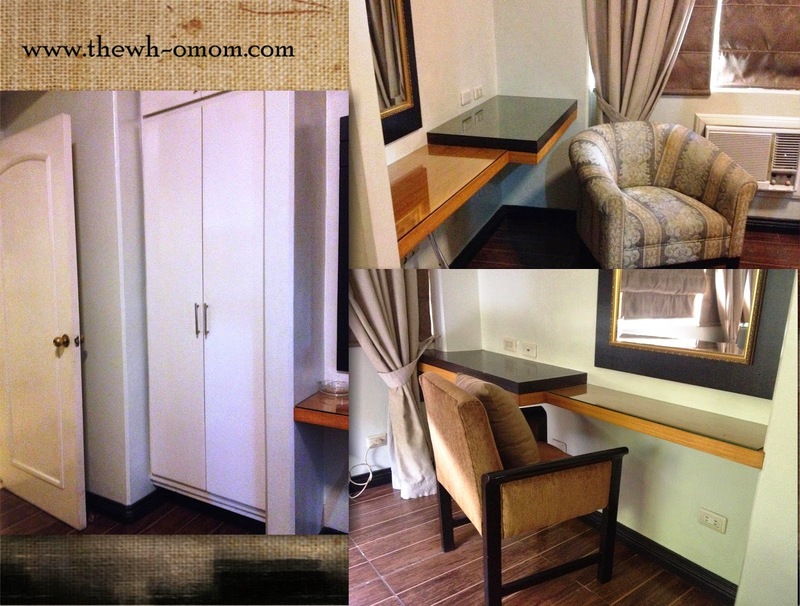 This is one of the reasons why we chose Orchid Garden Suites Manila. 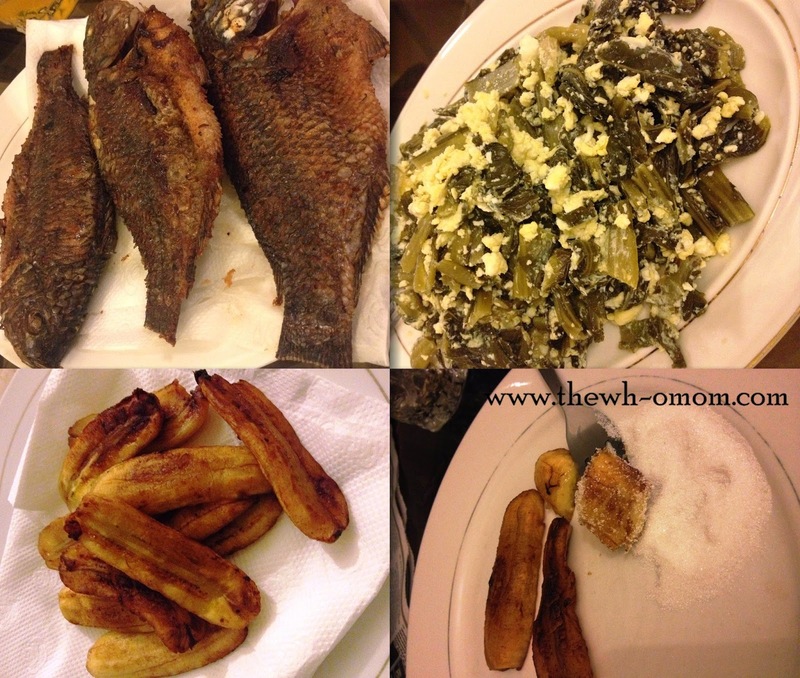 Cooking is practical plus we got to enjoy the food we love. 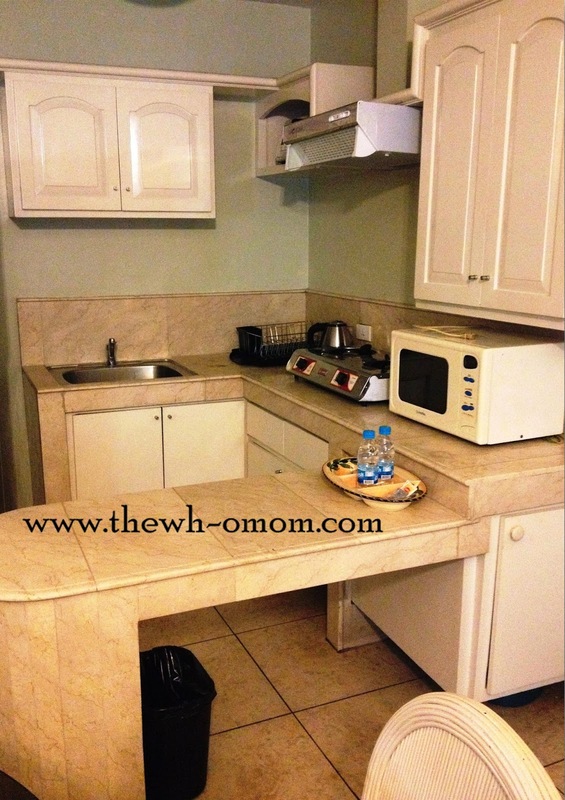 Not all rooms in the hotel have a kitchen. You can ask when you make a reservation. 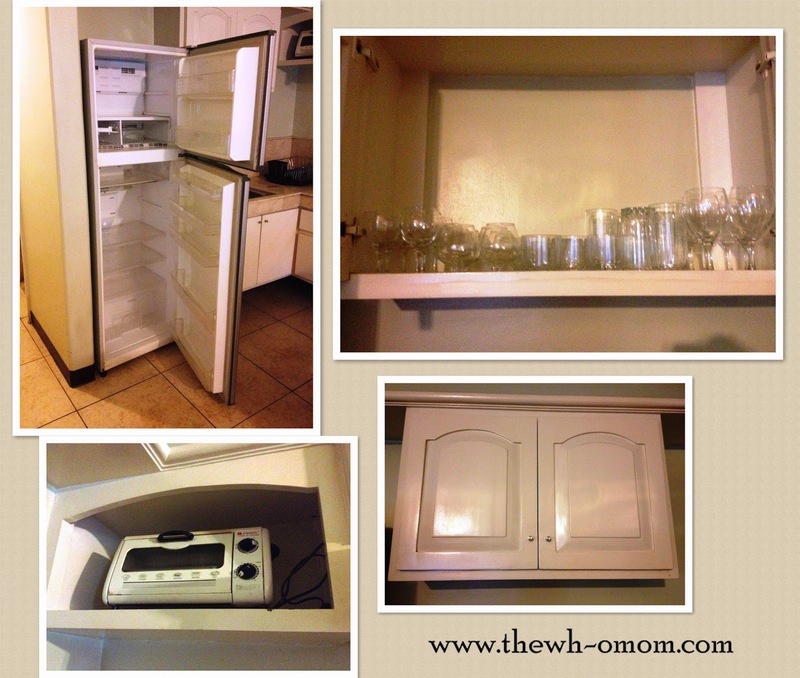 Kitchen utilities and appliances: Microwave oven, refrigerator, oven toaster, selection of plates, cups and saucers, different cook wares, soup bowls, and different kinds of drinking glasses. We just brought our own rice cooker. You don't have to worry about the food smelling in the entire room because there is an exhaust hood. We cooked Fried Tilapia, Burong Mustasa, Saging na Saba, Sinigang na isda (not in the picture), and Bangus. It's like we're still at home and tipid 'diba? There are two restrooms. One is inside the Masters bedroom. 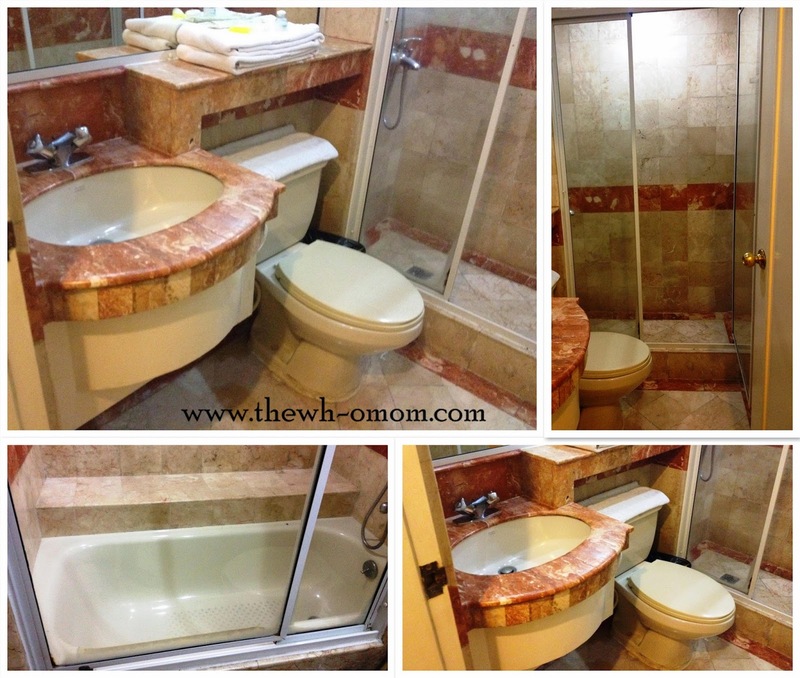 It has a bathtub with sliding glass door to separate the toilet but it's a bit small. The other bathroom has no bathtub but still separated with glass doors from the toilet. It is clean and complete with all the toiletries. When we extended our stay, we asked for housekeeping and they gave us so many toiletries and clean towels. 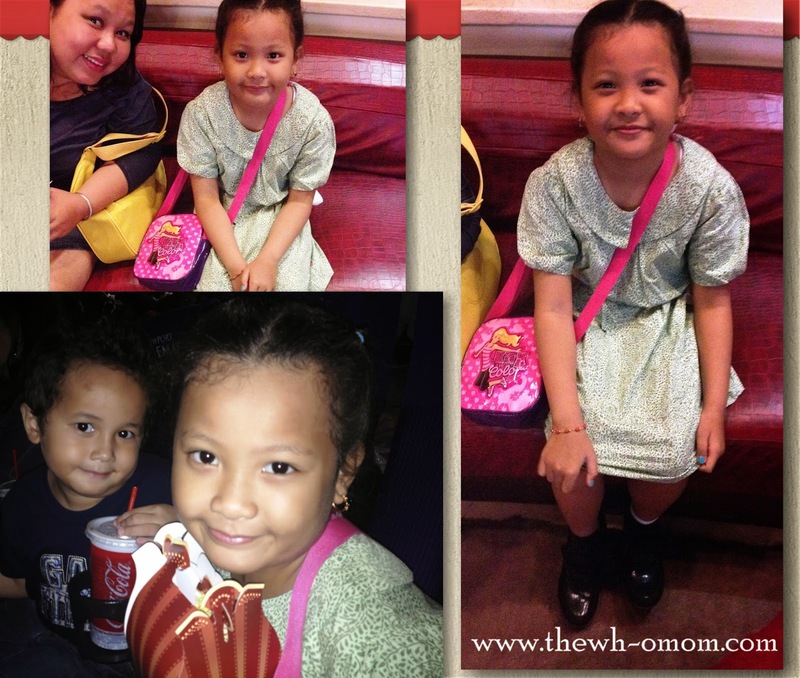 ₱250.00 for kids 6 yrs. old and above. 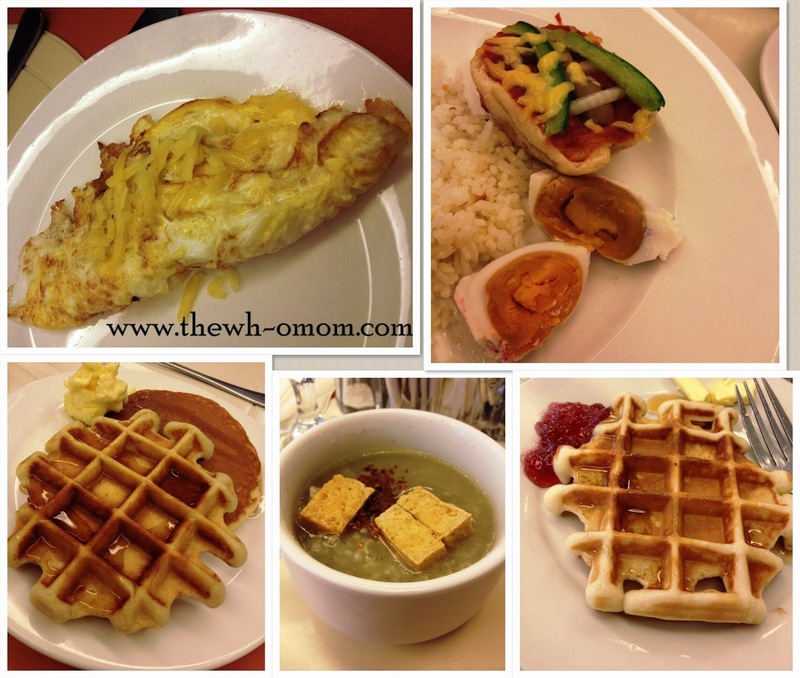 The buffet breakfast is free for kids 5 yrs. old and below. There are many food choices which are delicious, by the way. The kids can have cereals with fresh milk. The pancakes, waffle, and French toast are hot and will be cooked upon your request. There's also an egg station where you can request how your eggs will be done. Other food choices include: rice porridge (lugaw), oatmeal, different kinds of breads with different kinds of spreads, pastries, cold cuts, choices of rice, viands (chicken, fish, pork, or beef), fruits, and juices. This is just a sample of the food they served. 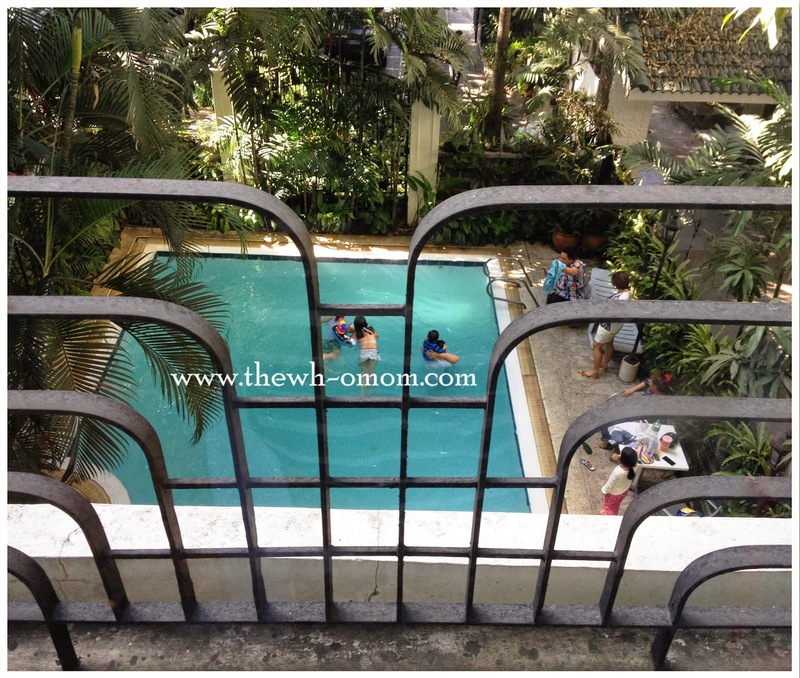 This is the view of the pool from our room. 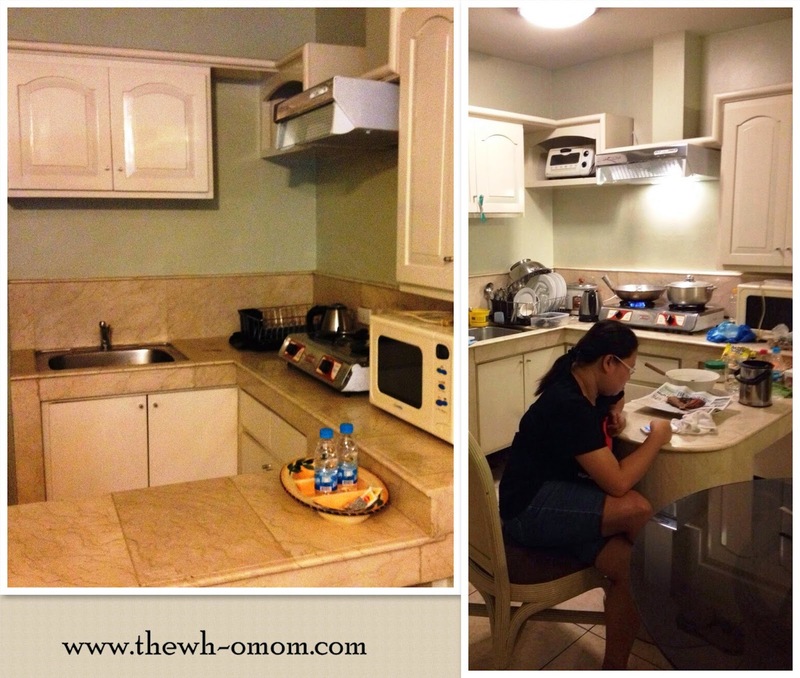 This is the 2nd reason why I chose Orchid Garden Suites Manila. 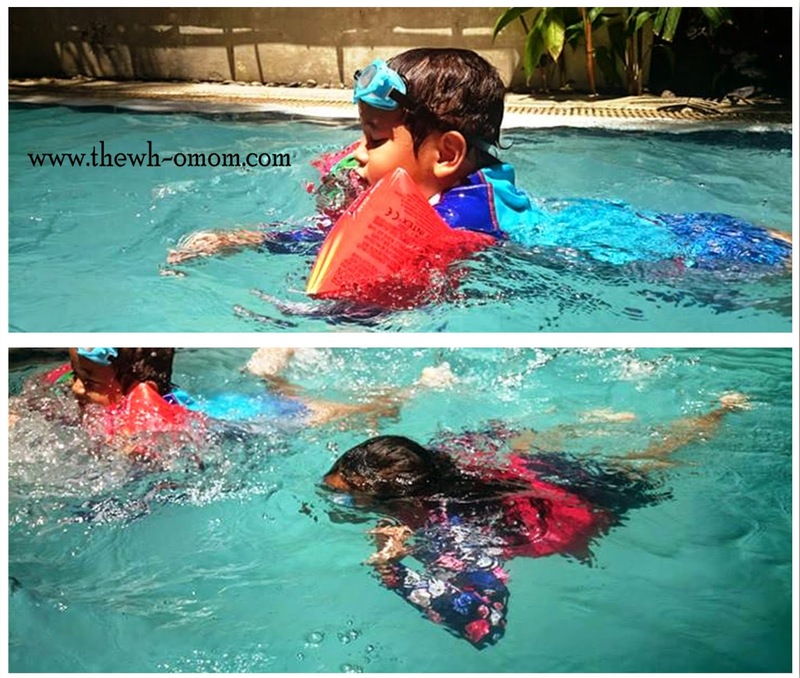 When the kids learned how to swim, they won't stop naman! Immediately after we checked in, they wanted to take a dip in the pool right away. Well the pool is quite big, there's a part for the kids at the end of the pool. I felt that the water is too strong with chlorine. I told the kids to wear their goggles. Obviously they still enjoyed the pool. We had a lot of fun talking, laughing, relaxing, and as always, regardless of the place, we were very happy to spend our time together as family. Disclaimer: This is not a sponsored post. All opinions are mine. Your experience may be different from ours. Picking the best school for our children would be a challenge especially now that there are a lot of schools to choose from. When I decided to enroll Meg in her current school, I took into consideration the academic quality of the school and the character formation which manifested and imbibed in the students. 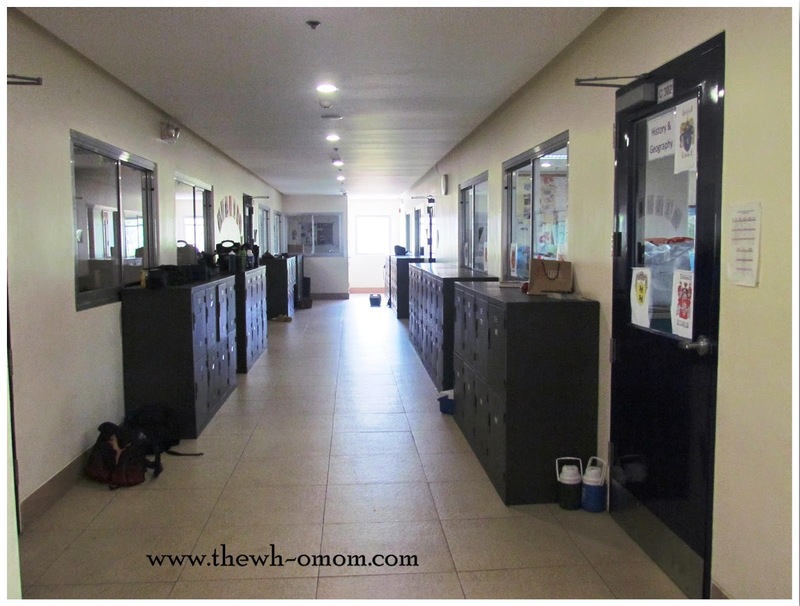 Last month, I was invited to a school tour with Em of Touring Kitty (fellow Mommy blogger) at Everest Academy Manila. I know it's an International school at BGC but I wasn't aware that they are also the first Catholic International School in Manila. When I entered the campus, the first thing I noticed was the peacefulness of the environment. 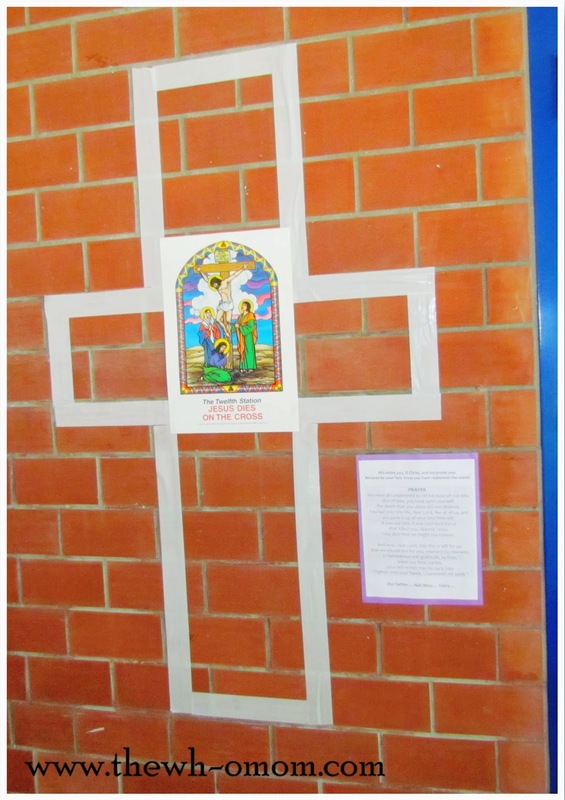 There were pictures of the Stations of the Cross on the wall corridors. Some of the students whom we encountered as we tour the school would greet us. And surprisingly, the Executive Director of Everest Academy, Betty Rivera, knows all the names of the students who greeted us. Here are some of the pictures I took from our tour. They have a bag ramp for their students. This one is a very great idea for kids using trolleys/strollers. There's also an instruction on how to use it. I hope other schools think of something like this also if they don't have elevators at school. 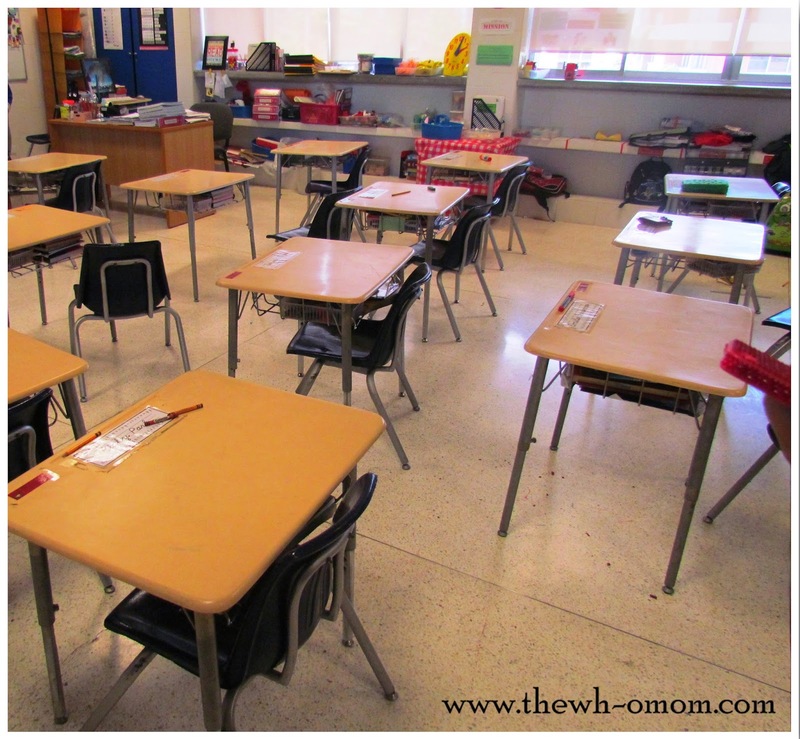 It impressed me a lot that every class consists of only 25 students and each grade/year level has only 2 sections. They wanted a small community for the school so they could deliver not only the best of their international curriculum but also the "integral formation" of their students. Integral formation consists of four pillars from the intellectual formation (academics), the human formation (character, virtues, and behavior), the apostolic formation (leadership and social awareness), and the spiritual formation (faith and prayer). We entered a class and the students were pretending scenes from a museum and the teacher would ask what they saw, what did they notice, what are the feelings involved, etc. 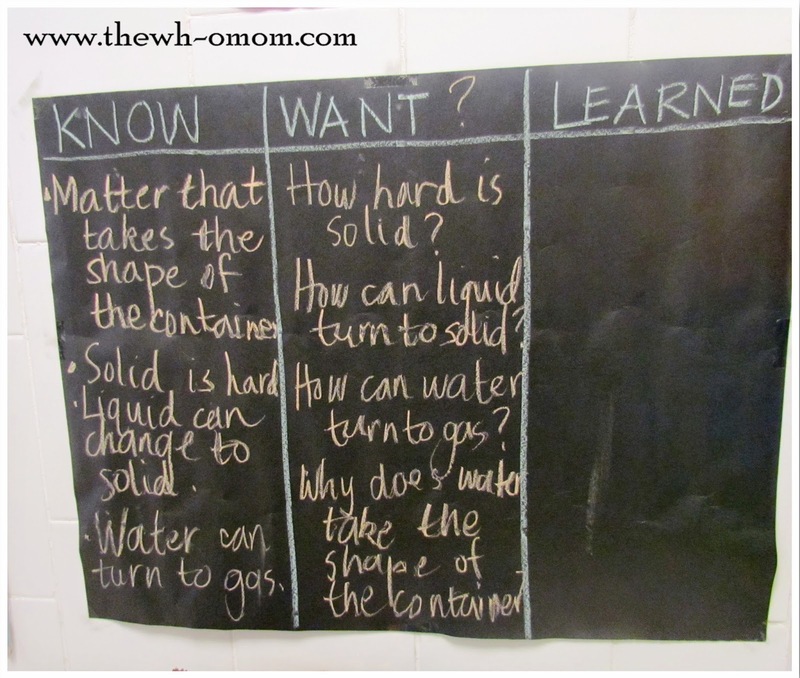 It's a bit informal but there is interaction and learning. No one is bored. The students were happy. They were happy to learn. After our tour, Rosano Landar (Principal), presented and explained to us their teaching approach. Instilled in my mind is the way they not only educate the mind, but also the body and the soul. It aims for a complete, balanced, and harmonious development of the whole person. Everest Academy is a Progressive school but also Traditional in these aspects: Order (Routines and Procedure), Respect for authority, Values and Virtues, Prayers & Devotions, and Discipline (Rules and Regulations). The core subjects in the lower (1st to 5th grade) and middle school (6th to 8th grade) are English, Mathematics, Science, Social Science, and Filipino. The special subjects includes Second Language (Spanish/Mandarin), Music and Arts, Physical Education, Technology, Character Formation and Service, and Catholic Formation. Everest Academy Manila has a sister school Mano Amiga (their less fortunate counterpart) and students from Everest Academy would have an outreach program and play with the kids. They also teach the kids to be involved and be part of their community. 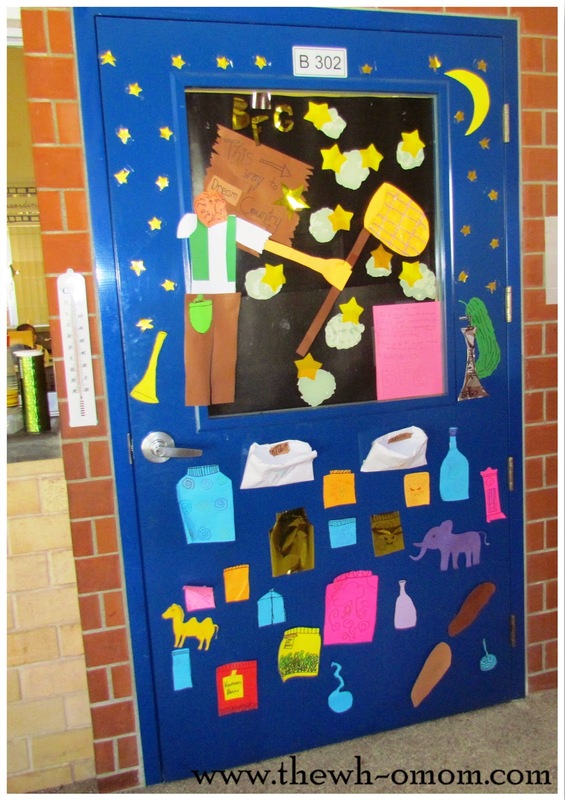 They teach the students to care for others in their community. The school also separates the boys from the girls as they enter fourth grade. They believe that the boys and girls have separate and specific needs as they reach the age of 9 years old and above. This school year (2014-2015), they would be offering Kinder and Grade 9 levels. In Kinder, the Integrated Thematic approach in learning would be used where the little ones would learn through playing. There would be 15 students per session (AM and PM session). 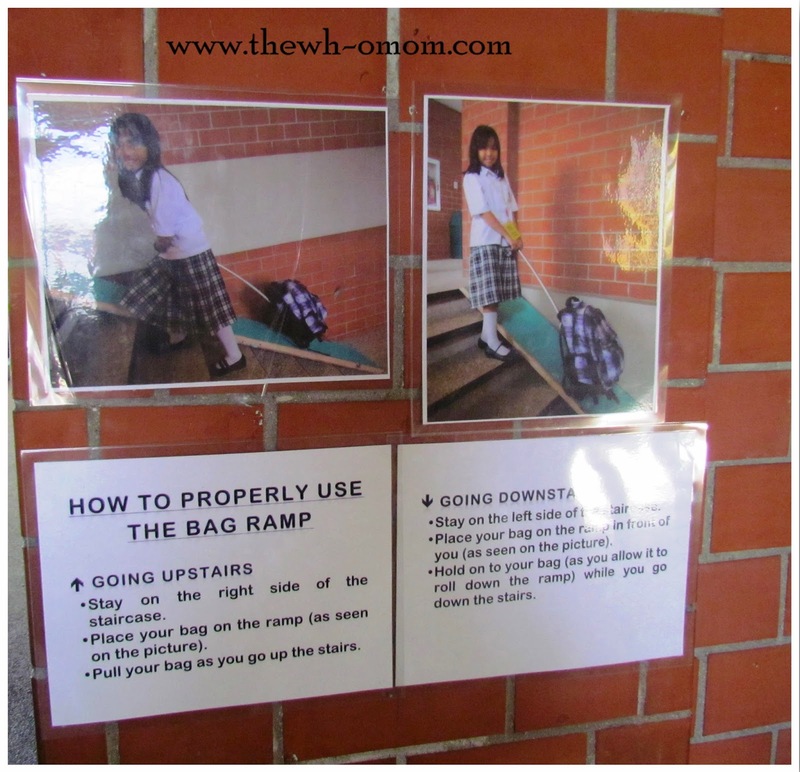 Everest Academy Manila: Teaches Kids to "Care"